Give yourself the gift of slow with this special chocolatey treat to experience (slowly) in the peace and quiet of your own home. This is hot chocolate with a real difference! 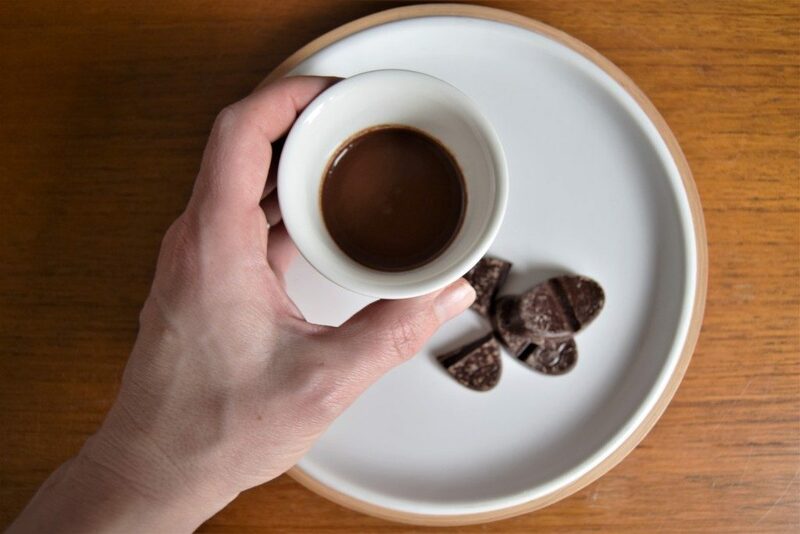 It contains two types of beautiful single origin dark chocolate, a touch of cacao powder, a little coconut sugar, a teensy pinch of Cornish sea salt – and lots of chocolate love. 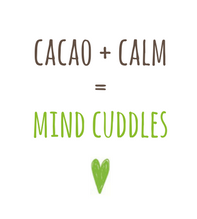 You can even go one step further and explore a self-guided hot chocolate meditation using the leaflet included on the slow hot chocolate pack. 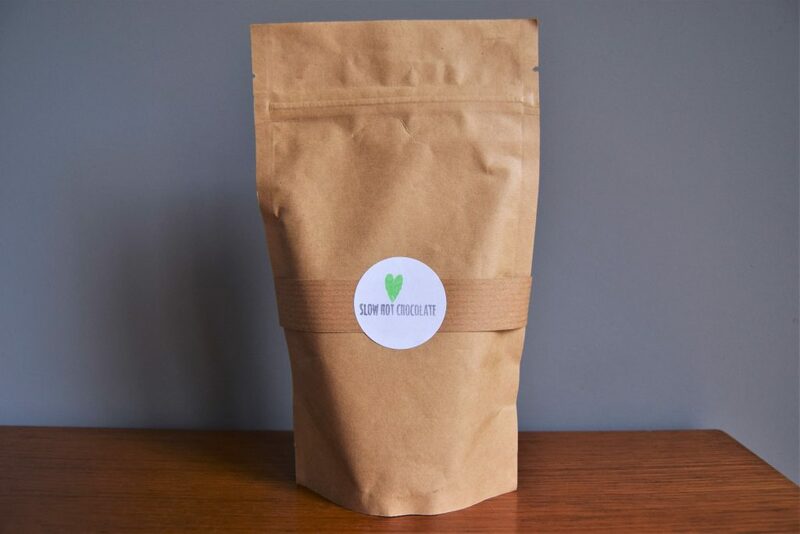 Although the hot chocolate does not contain any added gluten or dairy, it was lovingly created in a kitchen that may have traces of dairy, nuts, eggs & gluten, and is best stored in a cool, dark cupboard. I care about chocolate and I care about the environment. The sachet is therefore compostable & all the paper included is made from recycled materials and can be recycled. 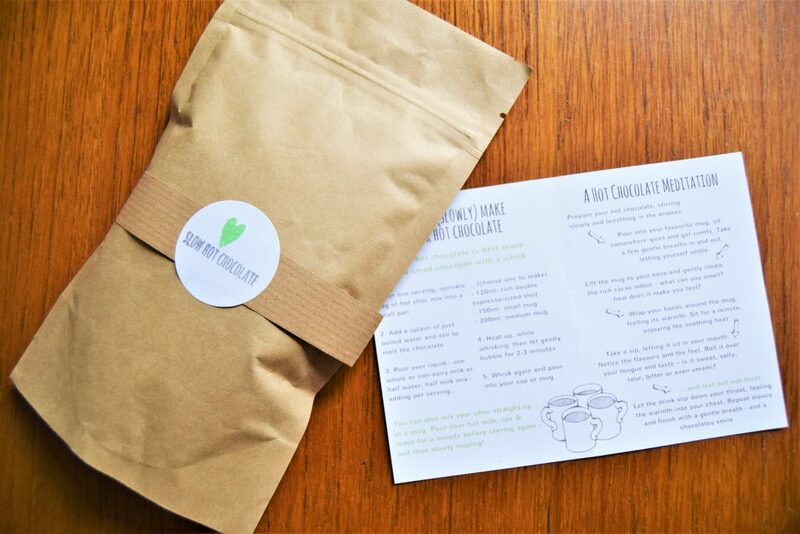 Your hot chocolate comes packaged in a special box which will fit through most letterboxes so you don’t need to be home to receive it.